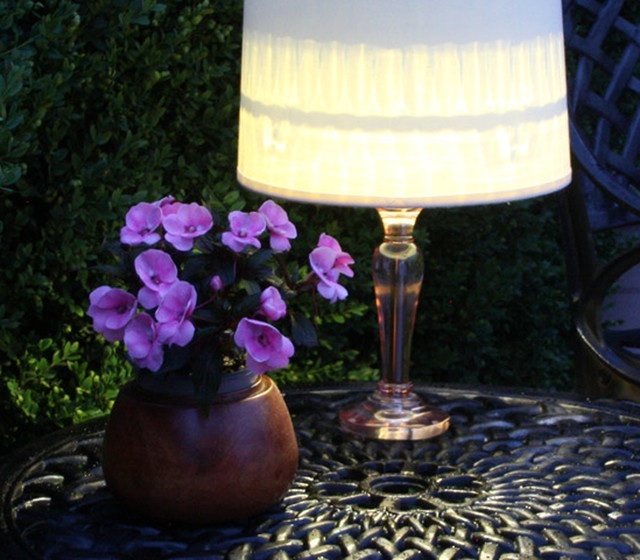 Do you have an old lamp hanging around that you can’t quite decide what to do with? Here’s a great idea for a working or non-working lamp. If you don’t have one, visit your local thrift shop for a lamp with good bones. Solar lights can be purchased at any hardware store. I’ve also found inexpensive solar lights at Walmart and Target. 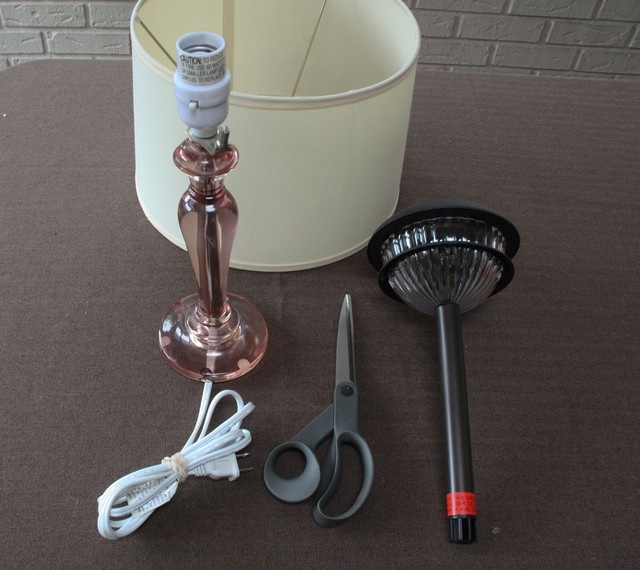 Simply cut out the lamps electrical wires and add a solar light where you would screw the bulb in. There’s nothing to plug in, no outlets to locate, and no messy candles to deal with. This is a great way to make an indoor-like space outdoors! 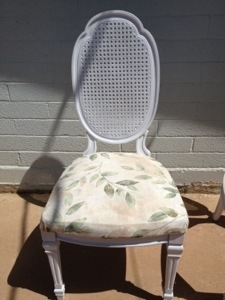 Give new life to an old, outdated dining room chair. These chairs, found at a thrift store, had great bones. They were extremely good quality, well constructed and had little damage. The seats were removed and the frame was painted with a few cans of spray paint. 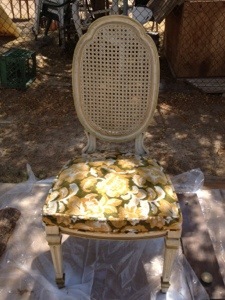 Seats were reupholstered with a few snips of fabric and a staple gun. What a fresh new look! 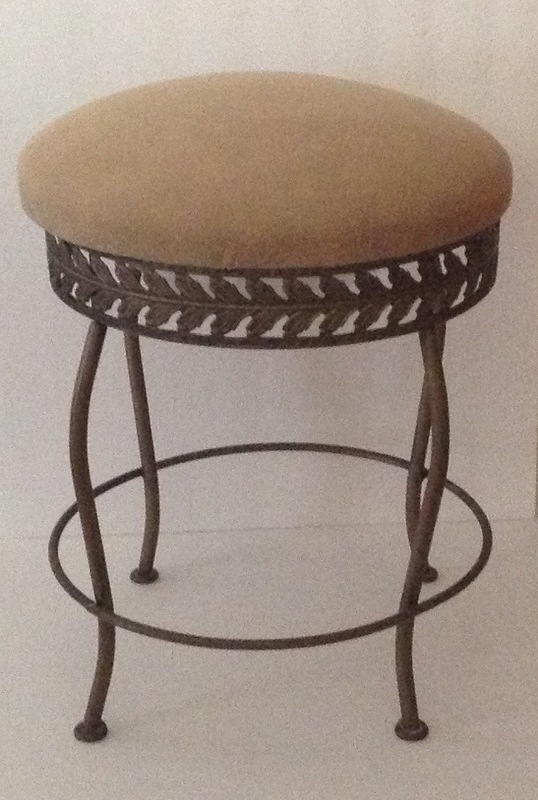 I found this vanity stool at a thrift shop for only $10.00! It’s tarnished gold frame and it’s bland fabric seat was crying for help. I had a great vintage looking t-shirt that was given to me as a gift, and a can of black spray paint. I removed the seat, painted the base and stapled the shirt on the bottom of the seat. Attached top back to base and I had a “wow” moment. 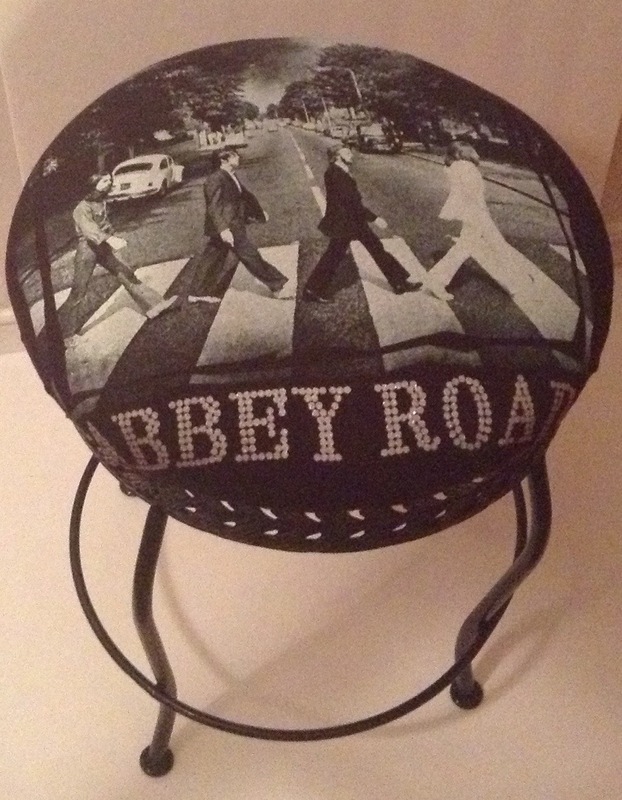 I love it and it will look great in my sons room as our small tribute to the Beatles. 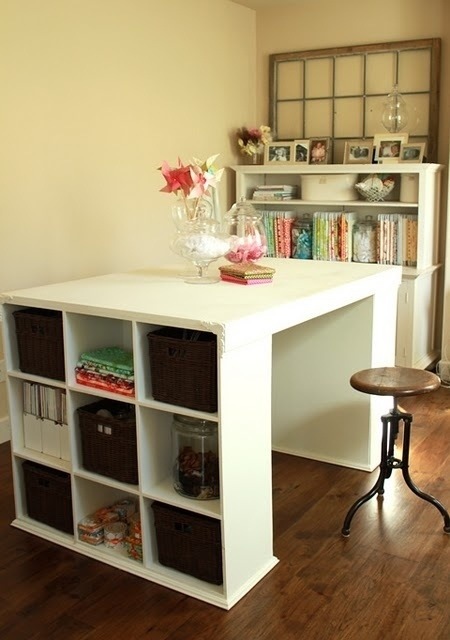 What a great, simple upcycle! 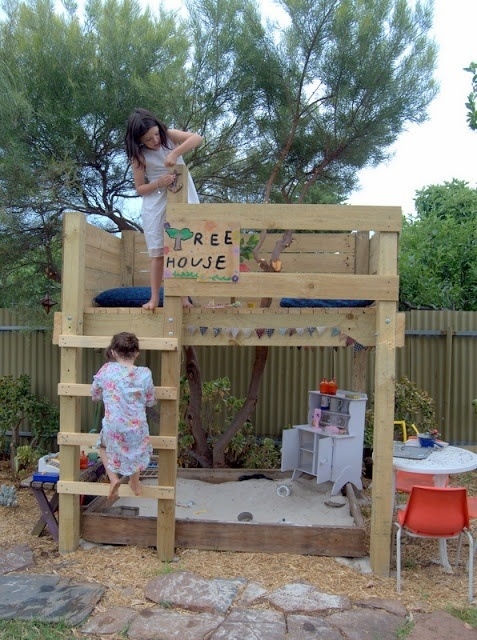 Turn an old bunk bed into an outdoor playhouse. Your children will love putting their imagination to use in this fun place. Add some paint and/or a cool theme (pirate ship, dollhouse, beach,etc.) and get your kids outdoors for some exercise and away from the computer or game. 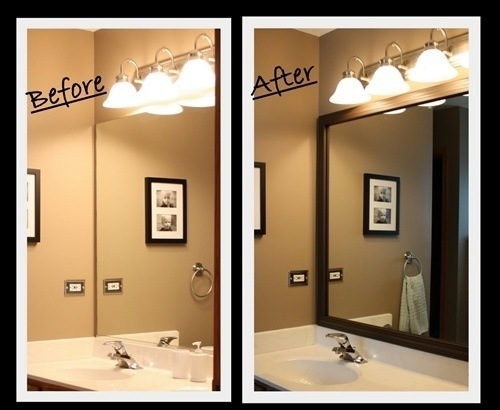 Replacing that big, old-fashioned landscape mirror in a bathroom seems to be our first temptation when remodeling or updating a bathroom. 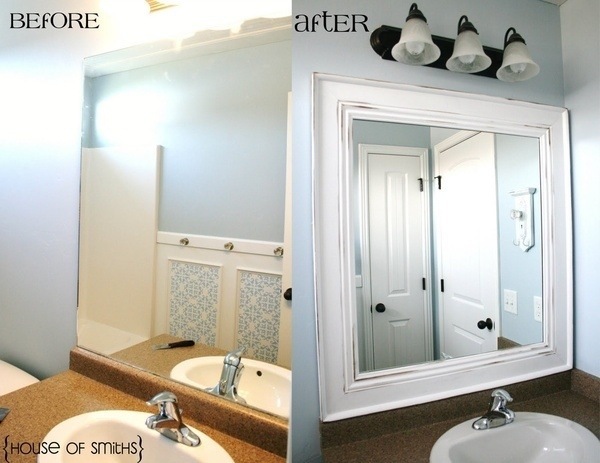 It is usually replaced with a smaller, uniquely shaped mirror, or mirrors, with a great frame that compliments the rest of our decor. Well I say keep that old mirror. It provides more coverage than almost anything you’ll find out there. All it needs is some sprucing up. 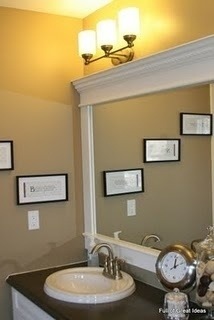 I found this great, simple idea of adding molding to the outside of the mirror, and they look fabulous. 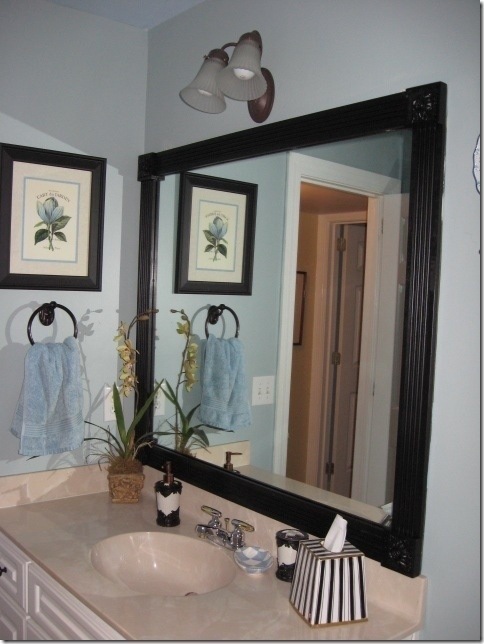 Customizing it with different shapes of molding and adding your own paint color or stain is half the fun. When complete it looks like an high dollar custom job. 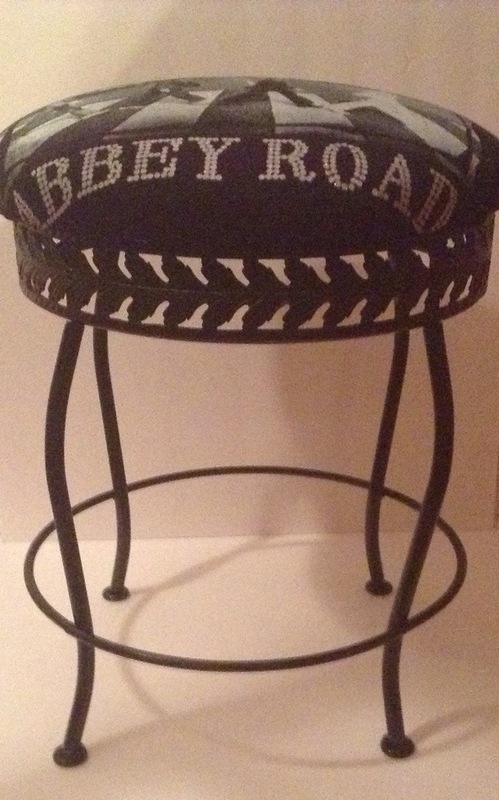 What an easy, inexpensive project. I found this on Pinterest a few months ago and wanted to share it again. Two simple shelves units are being used to support the top made out of painted plywood, cut to size, and added molding. It’s the perfect size for large and small projects and has storage to boot. Love this! 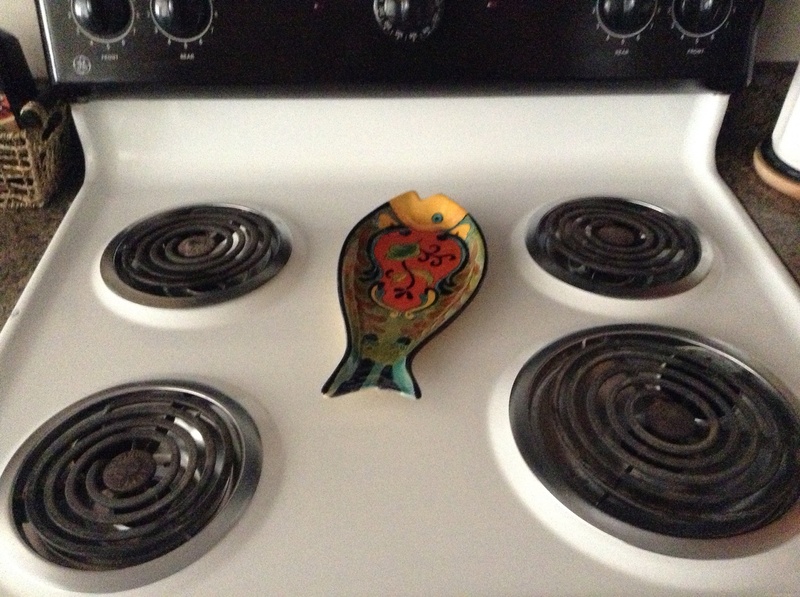 I hate those dinky spoon holders that are sold in department stores made to sit in the center of your stove. They rarely can hold one cooking utensil, much less, an oversized spatula. 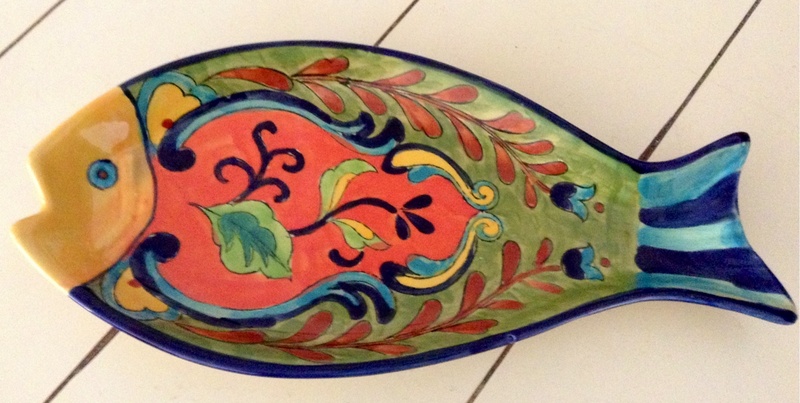 I found this magnificent Mexican fish platter at a thrift store and repurposed it as my spoon holder. It has become not only useful, but it has given my boring stove some pizazz!